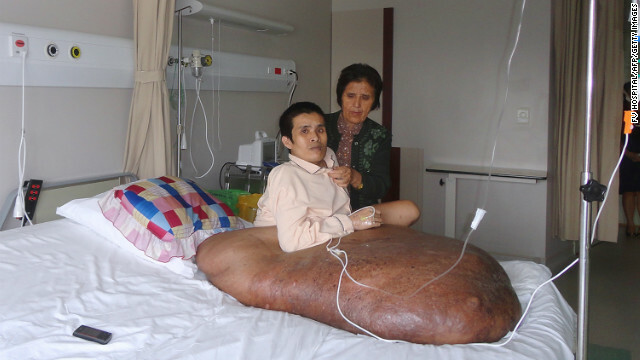 A Vietnamese man is recovering in the intensive care unit Friday, a day after surgery that completely removed from his right leg a tumor twice his body weight, according to the hospital in Ho Chi Minh City. The autosomal dominant hereditary disorder is the same disease that contributed to the extraordinarily large head of Joseph Merrick, whose story was dramatized in the 1980 film, "The Elephant Man," explained Guillon. The tumor "may return," Guillon wrote in an e-mail to CNN, "but we can operate him again, and it won't never reach such a size anymore." 1991 honda civic std empty weight? gross weight? gvwr? gcwr?